Get Out And Play JRX200 Series JRX200 Series JRX200 delivers the performance and prestige JBL is known for at an affordable price point. To meet these conflicting design goals, we looked at every element of the speaker system design. We kept everything that makes a speaker perform and sound its best and we eliminated things that don't. With performance, value, and popular price points, we are going to be building a lot of JRX200 speakers. This means we can apply efficient, high-volume production methods and purchase materials at the lowest cost. That's how JRX200 delivers unprecedented value. Professional Appearance The JRX200 Series loudspeakers feature a sleek, professional appearance highlighted by a new grille design and upgraded logo, giving the loudspeakers a look and feel on par with JBL's stylish STX and PRX Series portable PA loudspeakers. In addition, the JRX200 enclosures feature a dual-angle 36 mm pole socket for easy setup (JRX212 and JRX215), all-steel handles and a perforated steel grille. 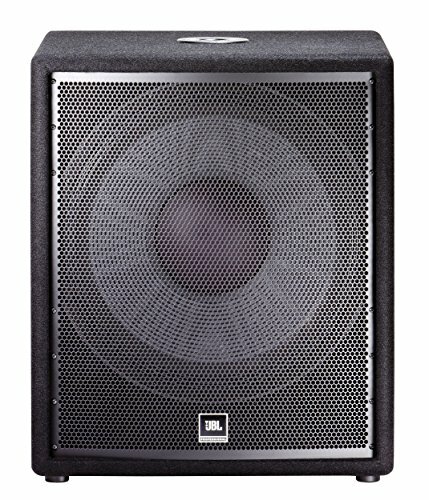 The JRX218S subwoofer includes a 36 mm pole mount receptacle to facilitate its use as a base for another JRX200 model or for a mid-high speaker cabinet. High Sensitivity All JRX200 Series loudspeakers offer high sensitivity (from 98 dB to 100 dBSPL), enabling them to be driven to higher volume levels even with lower powered amplifiers. JRX200 models include a host of additional performance features like SonicGuard high-frequency driver protection (except theJRX218S) and premium-grade crossover components. All JRX200 designs were subjected to JBL's 100-hour torture test to ensure long-term reliability.